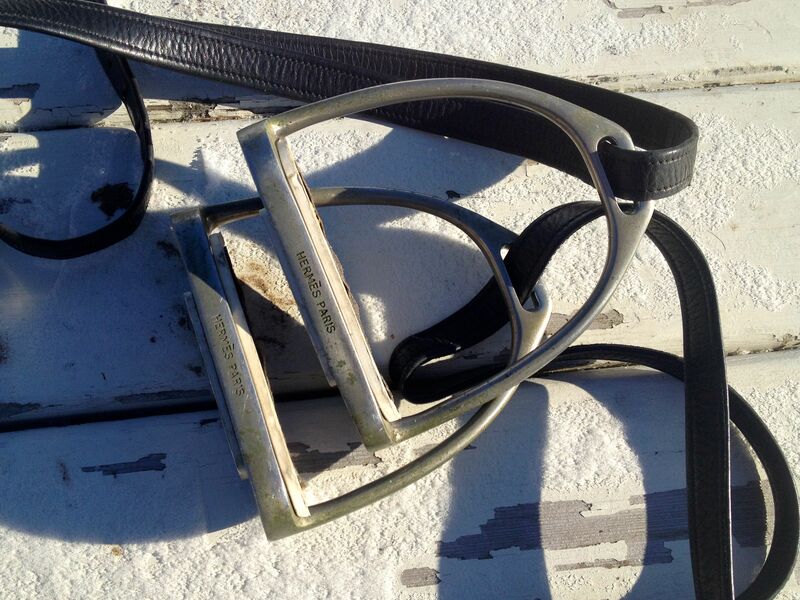 These Hermes stirrups came with a saddle that I bought recently. They are probably the only Hermes products I will even own! Sadly, I doubt I will use them as I’m addicted to my Bow Balance irons. Not as classy, perhaps, but much easier on my knees. How about you? Do you have an unexpected equestrian luxury item? I’d probably polish them and hang on wall as art. I wouldn’t be willing to lose my Herm Sprenger flexible irons. So comfortable! How cool! I don’t like the flexible stirrups anymore so I’d use them if they showed up on a saddle purchase of mine, hehe. I have a pair of beautiful De Niro Italian boots that I Love. Got on sale for a song. Waiting still with using them – they’re so nice and new!